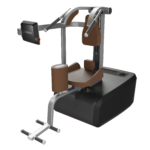 milon equipment is ideal for easy, safe and effective training for every target group, thereby assisting you to make your system even more profitable and efficient. 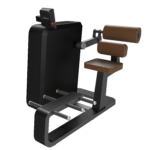 We have developed various circuit configurations founded on sports science data, so that you can experience maximum variety on the training ground. 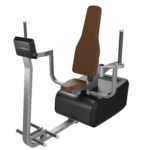 In addition, a circuit has been developed with our cooperation partner five, which encourages both strength and mobility. 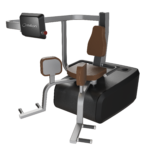 Flexibility in the selection of the equipment also allows you to tailor your offering to address the preferences of your existing customers. 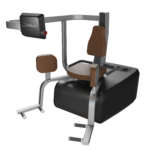 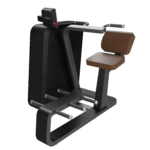 Corresponding to the milon training goals of weight reduction, muscle building, toning and freedom from pain, 4 circuit variations were created, which additionally support exactly these 4 training goals with their equipment configuration. 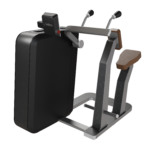 Strength equipment is used exclusively in the focus circuits. 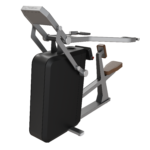 Six strength machines give the abs, legs, and gluteus a workout in this variation of the circuit. 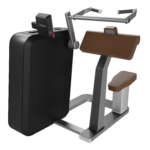 It’s intended for users using the “firming” training regime. 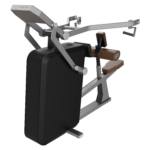 The six strength machines in this variation give the dorsal chain a workout and primarily concentrate on movements that counter those made in everyday life. 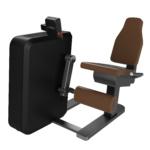 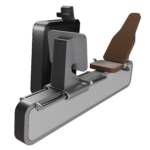 The back circuit supports the “pain-free” training regime and is intended for people who spend a lot of time sitting or have back problems. 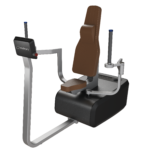 This module was designed for the “weight reduction” training regime. 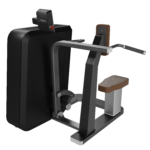 It gives large muscle groups a workout in particular, boosting the metabolism and helping reduce fat.